The ribbon is the new Dotted Lace ribbon in Tip Top Taupe (one of the new 2015-2017 In Colors). It's so pretty, almost ethereal. 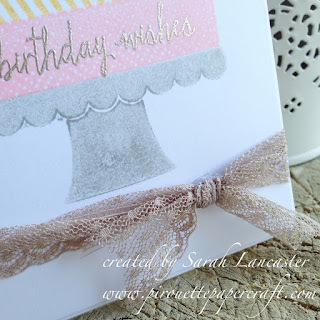 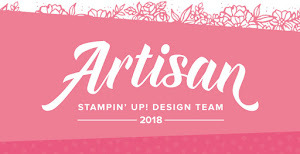 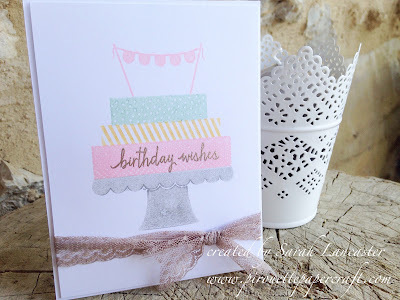 I used the new In Colors on my card - with some stamping off to get the more subtle, softer colours.